Laine Farber is the education assistant at the Lake Pontchartrain Basin Foundation and a freelance editor and journalist based in New Orleans, Louisiana holding her BA in Mass Communication from Louisiana State University. Laine also works with the Komenka Ethnic Song and Dance Ensemble. Margaret Laurena Kemp is an Assistant Professor of Theatre and Dance at UC Davis and has appeared on regional and international stages including Arena Stage, Mark Taper Forum, Yale Rep, South Coast Repertory, La Mama Theatre (Melbourne, Australia), Theatre of Changes (Athens, Greece), Red Pear Theatre (Antibes, France), and The Magnet Theatre (Cape Town, South Africa). Within her performance practice she is questioning the how systems of scientific and social engineering manipulate voice, breath, flesh, communities and the natural world. 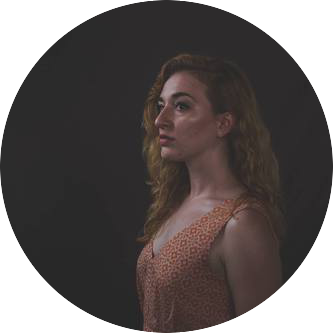 Caitlin Brimer, a New Orleans-based actress and writer, is a senior at Louisiana State University studying Creative Writing and Theatre Studies. In addition to working as a voice actor in Smash/Cut, she is currently acting as Puck in the LSU Laboratory Theatre production of A Midsummer Night's Dream, as well as in films around Louisiana. She also interns with a local documentary project and writes her own screenplays and comedy sketches while not collaborating on original pieces for the podcast.